MCLEZ online continuing legal education courses are for Tennessee attorneys who want to make the most of their time and money. For as little as $19.99 per course, easily earn Tennessee Online CLE credit through courses which have been produced in a variety of legal subjects that matter to you. Try a course for free before you make your purchase with our Free CLE program. To easily fulfill all of your allowable online CLE hours, see our Tennessee Bundles page under State CLE Bundles. 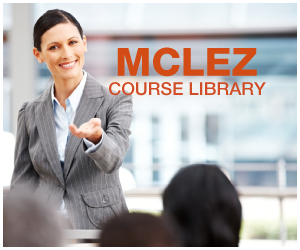 MCLEZ provides online continuing legal education programs which have been pre-approved by the Tennessee Commission on Continuing Legal Education and Specialization. The Rules of Professional Conduct created by the American Bar Association are "the gold standard" when making decisions about legal ethics and best practice. These rules have been adapted by most state bars for the benefit of their members. In addition, the Rules are a standard authority across the U.S. during attorney disciplinary hearings and fee dispute arbitrations. In this MLCEZ course, David Graulich, Esq. provides a closer look at the ABA Rules that pertain to the attorney-client relationship. What is the division of authority between the client and the attorney? How does an ethical attorney avoid the appearance "or reality -- of conflict of interest" Can an attorney ethically agree to represent a client in an unfamiliar area of law? Can an attorney loan money to a client? Graulich illustrates the rules with real-life examples as well as working through hypothetical ethical questions that typically arise in private practice.